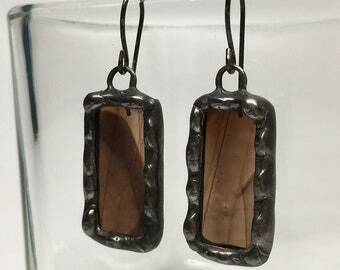 Glossy black stained glass earrings shipped to Utah! 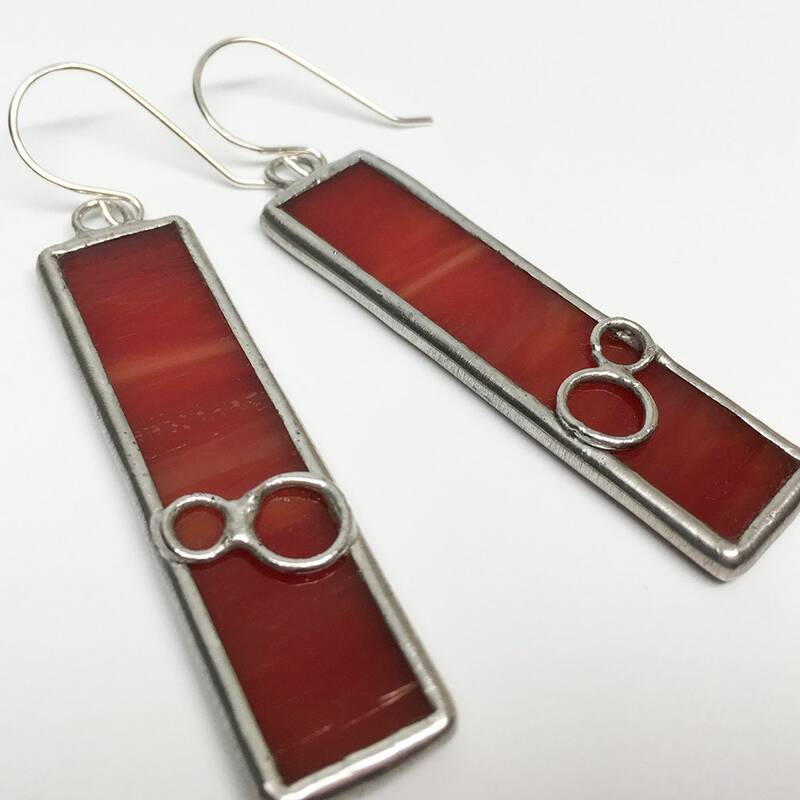 My “Jupiter Moons” earrings feature fiery red glass with a similar silver circlet design motif. The ear wires are sterling silver.